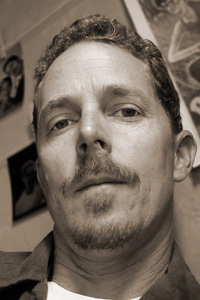 Keith Ekiss is the author of Pima Road Notebook (New Issues / Western Michigan University Press, 2010). He is the past recipient of scholarships from the Bread Loaf and Squaw Valley Writers’ Conferences, and residencies from Santa Fe Art Institute and the Petrified Forest National Park. A former Wallace Stegner Fellow in poetry, he is currently a Jones Lecturer in creative writing at Stanford University.